Meejana in Windsor is the brand new opening – Lebanese Restaurant. Meejana Windsor is the sister restaurant to the massively successful venues, Meejana London and Meejana Weybridge, with Weybridge being the original site which opened in 2007, and is famous for its home-made Lebanese food. Offering true authentic cuisine. 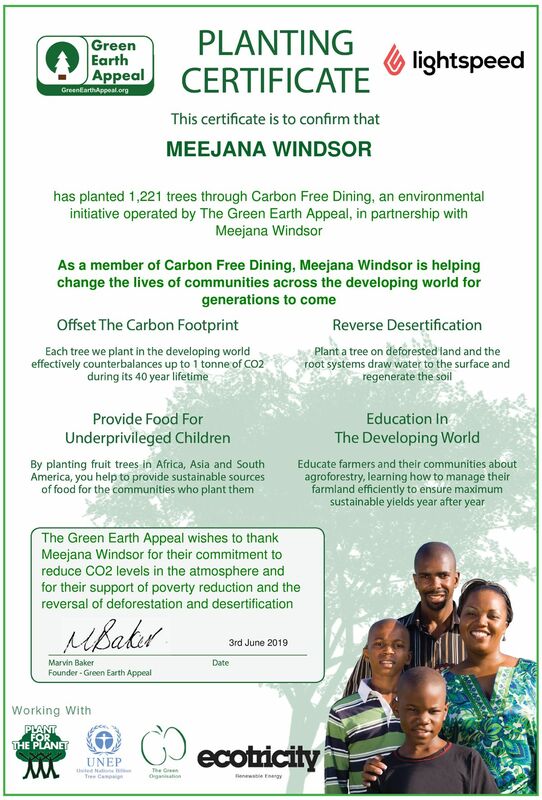 Meejana has teamed up with Carbon Free Dining, the United Nations-backed Restaurant initiative. At their Windsor, Kensington and Weybridge locations, they have chosen to demonstrate their love for the environment by partnering with the programme.